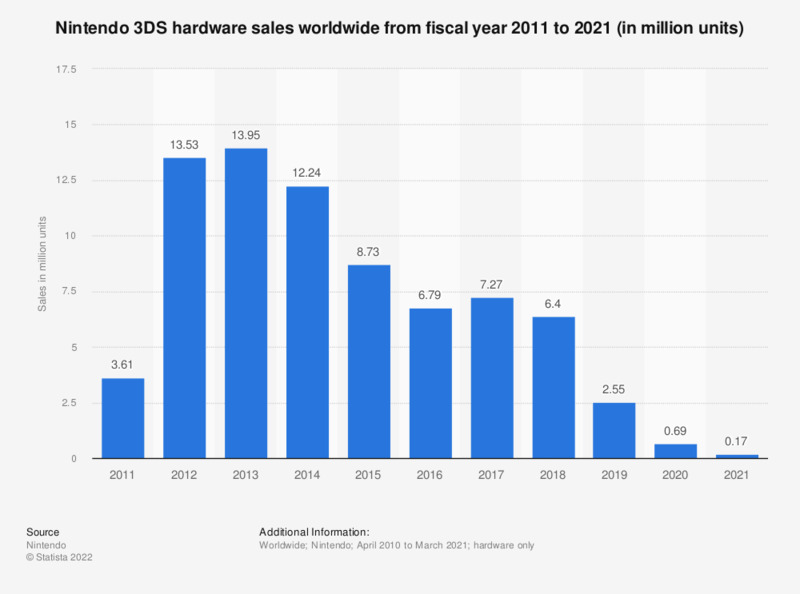 This statistic shows the number of Nintendo 3DS hardware units sold worldwide from 2011 to 2018. In the 2018 financial year which ended in March 2018, Nintendo sold 6.4 million 3DS consoles, down from 7.27 million units sold in the year prior. In terms of 3DS software, fiscal 2017 was the year of Pokemon, when more than 16 million copies of Pokemon X/Y for 3DS were sold. Overall, Nintendo generated 113 billion Japanese yen in revenue from handheld hardware that year, and 109 billion yen from handheld software. Nintendo's fiscal year ends in March of each year.